The SABPP hosted its first event of the year two weeks ago in Sandton, arranged by its Gauteng Committee, who used the opportunity to introduce themselves and their targets for the year. The main event of the breakfast session though was the launch of the SABPP HR Standards & Metrics Project, which is a project to reach levels of excellence in South African human resource practice by developing an agreed set of national standards and metrics. 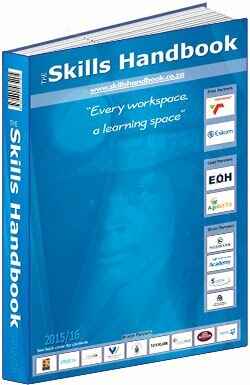 Strangely this is only one of three similar projects in the world, and the SA initiative is leading its Australian, US and Canadian counterparts so we might be the first country in the world to publish a full set of standards for our HR practitioners later this year. Standardising HR practice could be likened to setting up a "Generally Accepted Accounting Practice" (GAAP) set of standards for HR which would clarify, for example, what exactly is meant by the term "Talent Management" which has almost as many definitions as the letters that make it up. Interestingly Softline VIP Payroll ran an HR conference at the beginning of June in which one of the speakers addressed the same concept ("Standard Integrated People Practice"). With serious incidents like Medupi, Marikana and Dedoorns in our recent history, all of which had critical failures in HR practices in their creation, there is a clear need for more consistent, professional HR standards and measurement. Human Capital is often defined as the biggest business risk facing organisations, and the metrics developed by this project will give boards and investors the tools to evaluate and manage risk at this level. The final phase of the development of the Standards and Metrics will be their incorporation into the future King IV code of corporate governance. Please diarise the 20 - 21 August 2013 when the standards will be finalised and published at the National HR Standards Convention. This was followed by two excellent presentations from Professor Steve Bluen (GIBS), and Professor Shirley Zinn (Director of Shirley Zinn & Associates). The two presentations were very different and yet complimentary, mirroring the best South Africa has to offer in terms of business brilliance on one-hand and human leadership on the other. 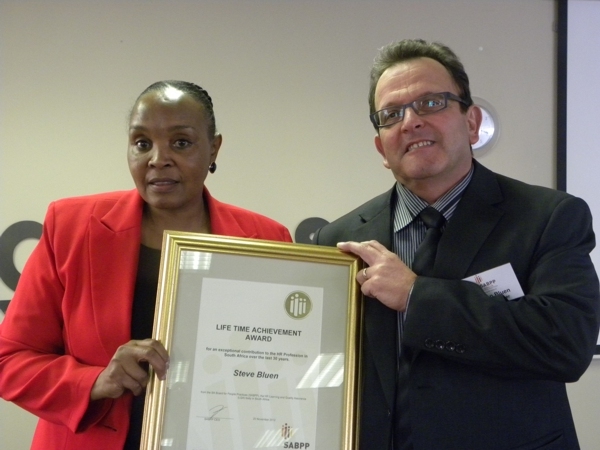 Steve was awarded the Life Time Achievement Award by the SABPP after his presentation. This was followed by Shirley' presentation. I must have heard Shirley present at conferences and facilitate workshops at least 10 times since I started in this field. Its not difficult to miss her because as past IPM President, Extraordinary Professor of HR (University of Pretoria), and head of HR at SARS, Nedbank and Standard Bank,. Shirley has chalked up a very visible reputation in the field. 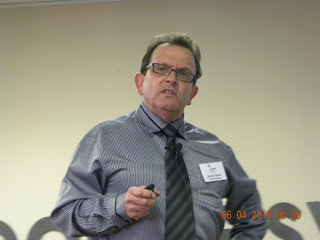 But this was no lecture about the technicalities of HR, or how to make HR more strategic. Shirley opened up about her personal life story, growing up in poverty in the Cape Flats, narrowly getting into university despite financial obstacles, her rapid rise to academic success from a scholarship programme in Harvard to her getting her Doctorate in Education, and finally returning to South Africa and failing to get any of the teaching positions she applied for. These setbacks lead her to take on a job as a Training Manager in a company that later retrenched her as it was swallowed up into Momentum Life .She then moved across to the public sector, working in what was then SAMDI (now Palama), took an appointment as an Employment Equity manager just as the EE Act was coming into force, and after that worked for a stint in a multi-national. 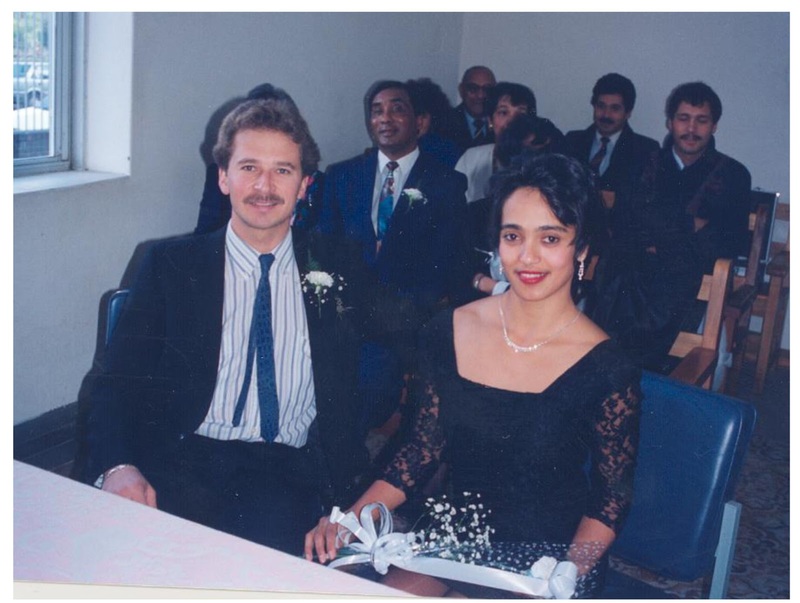 Before she took her most high profile positions, in SARS, Nedbank and Standard Bank, however Shirley and her husband Kevin experienced the loss of their son Jamie at the age of 7, in 2003. This resulted in Shirley taking "time-out" which she recommends as a crucial step for HR practitioners facing loss and set-backs. By this point in Shirley's presentation I was absorbed completely in her story and looking at the HR profession in a very different light. 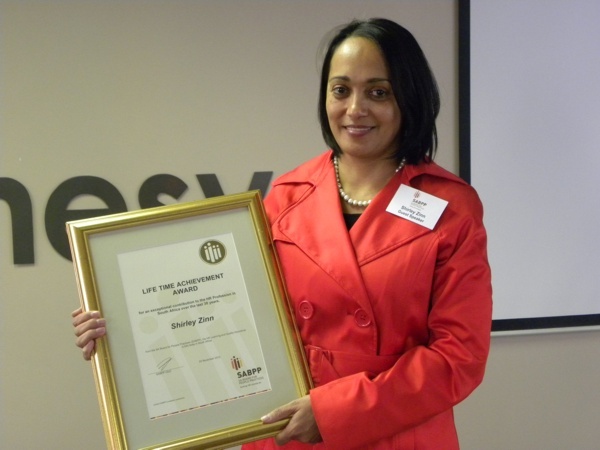 After her time-out, Shirley went on to help Pravin Gordhan take SARS through a massive transformation which has made it one of the best run tax collection agencies in the world, and a model for many aspects of HR best practice. This was followed by being hired by Tom Boardman, CEO of Nedbank, to help in the three year turn-around of this 27,000 employee bank, which was in serious financial trouble at the time. One of the most rewarding moments of Shirley's life was seeing the financial fortunes of the business turn-around in tight correlation with the change in values and culture of the organisation as it responded to the new HR practices. Her last post (to date), was HR Director for Standard Bank South Africa and deputy Global Head of HR for the Standard Bank Group, another struggling financial institution that Shirley helped to transform. Her work there however started with the painful task of retrenching several thousand employees, and then building the confidence and motivation of those who remained. 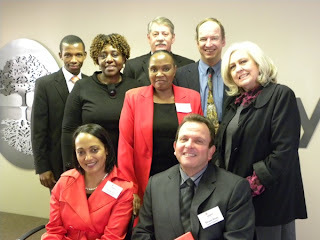 In September of 2012 Shirley left Standard Bank and set up her own consulting firm, Shirley Zinn & Associates. I am struck by two of the slides Shirley showed us - photos of letters two of her teachers wrote to her, encouraging her to go further with her studies and realise how talented she was. Shirley explained that until she got this encouragement she was not even considering university, given the financial situation of her family. Now, one very successful career later, she encourages HR practitioners to spot talented employees and not to shy back from giving them direct words of encouragement. "Shirley you have the attributes to make a success of anything you attempt"
"Always aim high and you will inevitably succeed"
While working on her Doctorate, Shirley ran out of funds to cover her tuition, and had to approach the faculty with her pride in her pocket, and request help. She ended up in a "pay for performance" situation where the faculty covered her tuition so long as she was getting top marks and assisting the lecturers, an amusing encounter she relates, that was an early introduction to the flexible pay and remuneration policies of corporate HR. Shirley seems to have now really found her niche working for herself and enjoying the freedom of expression and leadership that she can now bring to the HR profession as an independent consultant. Her presentation was inspiring, open, and human, and my guess is that it resonated a lot with the HR practitioners in the room, especially those women who have made it into HR from disadvantaged backgrounds, and now find themselves often in the role of mediating success to their employees, and having to make some courageous decisions. Steve obtained his PhD in Industrial Psychology from the University of the Witwatersrand. He joined the faculty there in 1982 and in 1989 was appointed Professor of Industrial Psychology. In 1991 he became head of the Department of Psychology at Wits University. He spent a year at Queen’s University, Canada teaching, researching and consulting in various areas of organisational psychology. In 1993, Steve joined SAB as the consulting psychologist and subsequently occupied several executive positions within the company. He was appointed HR Director of the Africa and Asia division in 2000 and in 2002 became HR director at SAB Ltd., a position he held for over eight years. Throughout his time at SAB, Steve was involved in global talent management as the company moved from a local business to an international corporation. Returning to academia, Steve became a Professor of Human Resources at GIBS University in 2011. He has recently edited a book entitled “Talent Management in Emerging Markets”. He also runs a consultancy, which has worked with several multinational corporations on global talent management and diverse aspects of HR. Prof Shirley Zinn is the former Human Resources Director of Standard Bank South Africa and the Deputy Global Head of Human Resources for the Standard Bank Group and has since registered her own company: Shirley Zinn Consulting that provides consulting and advisory services in HR, Leadership, Transformation and Education.Prior to this she was the Group Executive HR at Nedbank. Before this, she was the General Manager for Human Resources at the South African Revenue Service (SARS). She is also currently an Extraordinary Professor at the University of Pretoria's Department of Human Resource Management and is the Past President of the Institute for People Management South Africa. She started her career as a secondary school teacher of English, then moved to the University of the Western Cape where she lectured in Teacher Education. After this, she served at Southern Life as Training Manager and then moved to the Department of Public Service and Administration's: South African Management Development Institute, in Pretoria as Director. She held the position of Executive Employment Equity at Computer Configurations Holdings. Before her appointment at SARS, she filled the role of Regional Human Resources Director for Middle East and Africa for Reckitt Benckiser, a global company listed on the London Stock Exchange. 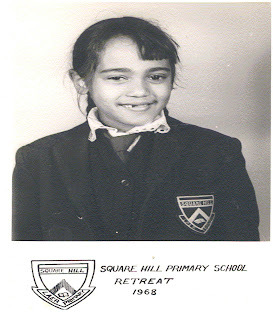 She holds a BA (University of the Western Cape); Higher Diploma in Education (University of the Western Cape); B.Ed Honours (UNISA); M.Ed (University of the Western Cape); Ed.M (Harvard) and Doctorate in Education (Ed.D) (Harvard). In 2012, was listed in the Top 30 Wonder Women in South Africa by the Wits Business Journal.